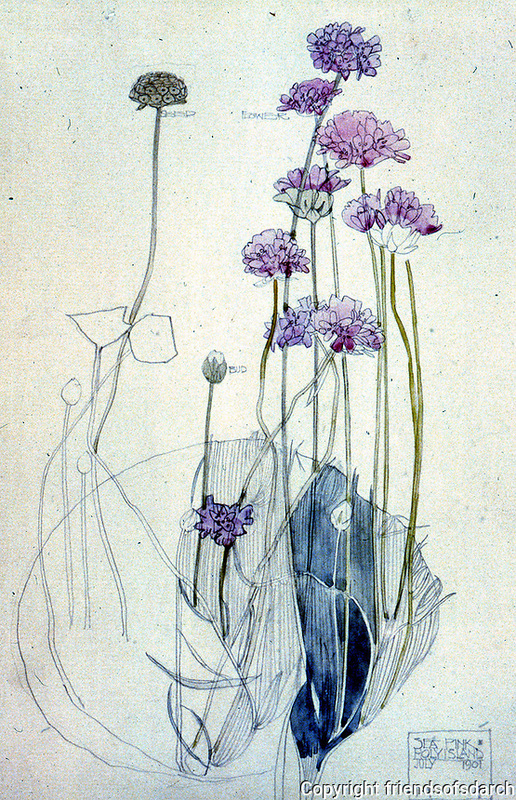 Mackintosh Collection: Hunterian Art Gallery, U. of Glasgow. Watercolor, "Sea Pink, Holy Island" 1901. C.R. Mackintosh, Mackintosh Collection, Hunterian Art Gallery, watercolor, "Sea Pink, Holy Island"